When you incorporate into your hearts true love for your oppressors, you are bringing ways to help them through forgiveness. Many of you have gone through many experiences in past lives and today you have the opportunity to socialize with some of your oppressors, with some who have harmed you in times past. Within your heart, you feel a deep sense of compassion for these brothers, who stand before you in an attempt to get one more chance to do right. In the hope of being forgiven, but first of all, their purpose in this incarnation is not to be forgiven by you, but by yourselves. They could no longer live with the consciousness of the evil they caused, and chose to come again and forget. In this new beginning, they will have the opportunity to bring aid to those who have caused harm. Give your oppressors a chance so they can help you. Forgive if for some time they make a mistake again, in the incessant attempt to get it right. Everyone is here to try and get it right. Do not feed the hurt in your hearts, but radiate love and forgiveness for these brothers. Many who today challenge you, at first come with a certain fear before you, facing the challenge of doing right this time. Fear can often generate an aggressive reaction from them, and make some mistakes again, but let them live that experience, watch with love the attempts at success. Bless with your love and forgiveness. They are all here to become ONE in Love. Let time bring the trust and transformation that your oppressor needs to redeem himself. At the right time, he is the one who will reach out to you to help you when there is no hope for you any more. When you least expect it, your oppressor will be prepared, after all lived experiences, to help you, and it will heal the heart. Do not leave him behind, do not flee from this experience. Give this opportunity with love. Give the opportunity for him to show that he can, that he shows the individual transformation. For so many times you also received forgiveness in so many moments that you missed, in so many attempts to hit the wrong. Accept and bless what your brother now lives. You are the one who can bring healing and deliverance to him. You can make it transmute the guilt and the feeling of inability to become a better person. Watch with love and embrace it in your loving energy of forgiveness, look upon it as someone who tries to hit and miss, but has gone through so many times through error that it is already difficult to do right. And it will only be possible after many attempts. The feeling of helping, my children, is liberating, and the feeling of true charity lies in that simple act of forgiveness. Do not turn your back on those who are there in need of your love and forgiveness to take courage, to see in your loving example how it is on the right path. So that he can observe his glory, his balance, and his peace, even in the face of all the suffering he may have done, you still look at him with love. This, my dear ones, is what he needs to find hope in his own heart that is already suffering. When he causes harm to someone and sees his victim to tears of suffering or giving rise to feelings of anger and revenge, it does not contribute to his improvement, to inner transformation. But before a loving attitude, selflessness of forgiveness and a true loving look, he drops all the weapons of ignorance, he surrenders to love. 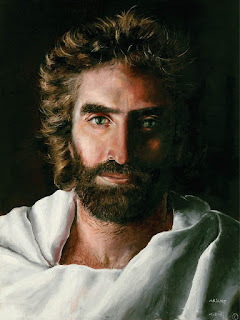 So did our Master Jesus, our great example of humanity, self-denial, forgiveness and love. The oppressor so often prays to our Master Jesus, but he can not believe that such a glorious Being can be alive in the hearts of so many people and also of his own victims. Seeing the loving reaction of those whom he has wronged, he begins to find a small focus of hope within his own heart, which will show that he is also a seed of Christ. It will show that the Christ is alive and he is living the experience to believe within the heart that this is possible. Cruelty and the practice of evil distances our brothers from Christ, but in experiences like these, my children, they begin to realize that there is hope, and that love is above all evil that may exist. 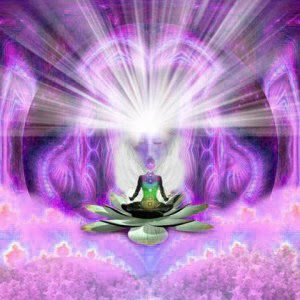 Radiate your love to your oppressors, forgive and love unconditionally. Accept them in your heart and thus contribute to the growth of a new Being of Light to inhabit this planet and help in the energetic elevation of the Whole. It is with great gratitude that I bring this message.